Back in 1985, Back to the Future and The Goonies arrived in cinemas. This was also the year that Microsoft released the first version of Excel. However, we are now living in a mobile-first digital world, and this era of hyper-change is showing no signs of slowing down. Over thirty years later it can feel like some of those spreadsheets are still in use. Escaping the shackles of “that’s the way we’ve always done it” is preventing some of the biggest retailers from competing with tech behemoths such as Amazon. The disruptive force of Blockchain is increasingly seen as a silver bullet that will deliver unprecedented levels of trust, accountability, and transparency in electronic transactions. But, despite the numerous online guides, blockchain still leaves many businesses feeling confused. Venzee is an e-commerce SaaS company that is tackling the data transformation problem by working with retailers and e-commerce vendors to easily share product information and ongoing updates. CEO, Kate Hiscox, recently announced the launch of blockchain’s first middleware solution which enables businesses to connect everyday apps and enterprise solutions with blockchain networks with minimal fuss. Speaking on my podcast, she also attempted to demystify blockchain in a language that those outside of tech circles could understand. With this launch, we are leveraging everything we’ve learned and created, to serve the growing blockchain industry. We are uniquely positioned and excited about the opportunity for growth. Mesh is described as a tool that can transform and filter data before it reaches the blockchain, ensuring it is error free and compatible for business purposes. Essentially, this is made possible by a three-layered process. The first acts as a staging area where data can be imported, merged and validated before finally moving to transformation. Mesh will then transform the data to fit the requirement of a particular purpose, like a smart contract for example. Subsequently, it is then transferred and written to the blockchain, where it becomes immutable. Venzee appears to be seizing on the opportunities that are arising due to the lack of implemented production systems and how they communicate. Although Mesh is currently only available in private beta, the official release is due for release in the first half of 2018. For the past four years, we’ve been perfecting system connectivity and bringing interoperable data to the $23 trillion retail industry, one of the most demanding industries when it comes to correctly formatted, error-free, real-time data. Both consumers and businesses are searching for simplified solutions to prevent them from encountering pain points. 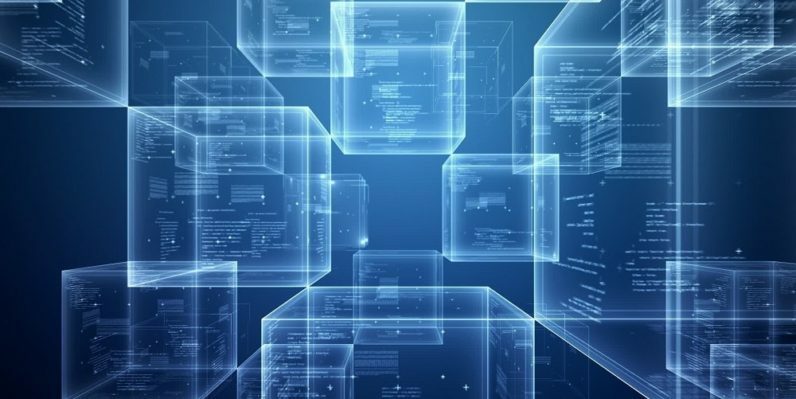 Despite the overwhelming benefits that blockchain can offer, there is no out of the box solution, and many are trying to get to grips with the technology. Many are also cautious about the enormous responsibilities of a decentralized database consisting of permanent records. There is also a debate about the implications and accountability of accidentally sharing incorrect or sensitive information. There is little doubt that blockchain is much more than a buzzword and it will go on to transform entire industries. Rather than a few early adopters securing an early advantage, there needs to be a focus on education and bringing everyone along for the ride rather than just the elite few. Venzee appears to be making it easier for the retail industry to finally move away from spreadsheets and now with Mesh, encouraging companies to embrace rather than fear blockchain. For these reasons alone, I will be following the progress of Mesh very closely.